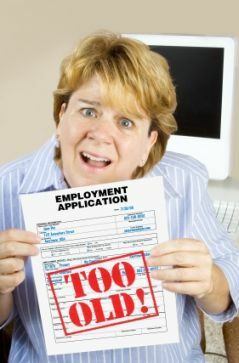 As corporate recruiters and hiring managers turn to social networking websites to source and screen candidates for jobs, what constitutes illegal discrimination? Find out what information about job seekers gleaned from social networking websites you can and can't factor into your hiring decisions in this Q&A with HR expert Jessica Miller-Merrell. Don't let employers use your social networking profiles to unfairly discriminate against you. Finally, if you make hiring decisions based on protected information that a candidate provides on the Internet—if you decide not to hire someone because you find out they're Muslim, pregnant or their child has a health condition—these are hiring decisions that can get you in hot water. What information about a candidate—gleaned from sites like Facebook, LinkedIn or Twitter—can a recruiter, hiring manager or HR person include in their decision to interview or hire a candidate? Once a company finds out this information—that a candidate is pregnant or needs an expensive organ transplant, is disabled or whatever—it seems like it would be impossible not to factor that information into their decision-making about a candidate. How can employers manage this information or this access to information that they're now exposed to? The first thing employers can do is provide training—train anyone involved in the interview process, especially hiring managers, on anti-discrimination law and how social media plays into that. The other thing companies need to do is have some sort of procedure in place for how they use social networking tools in recruiting. If they're using social media to look for candidates or as a background check, they need to document that they have a process for using these tools so that if they are sued, they can demonstrate that they've been consistent in their process, that they're not checking the Facebook pages of only African American candidates.